Stylish downtown loft conveniently located less than 100 meters away from Bilbao metro station, in a quiet and residential street of the upscale Madrid neighborhood Chamberí. Lots of stores and restaurants in the area, bike rentals around the corner, close to everything! 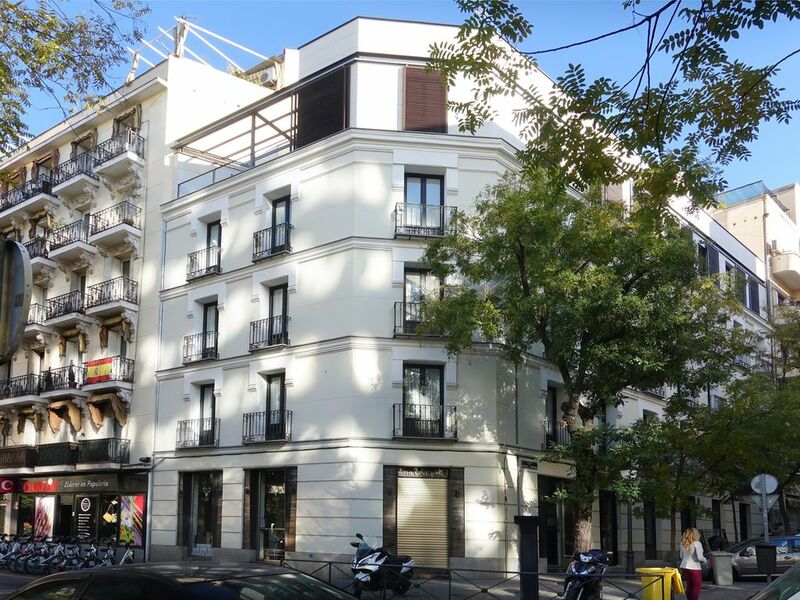 Located on a courtyard level of a prestigious 1935 Madrilenian building with a private entrance, this trendy studio is fully equipped to make your stay in Madrid a fabulous one. Perfect for young professionals or global nomads looking for an eco city place in Madrid! Great location, clean comfortable safe, lots of nice touches. The host was welcoming and available for questions during my stay. The location is great, a short walk from Bilbao metro station and some lovely restaurants and shopping very near. The apartment is delightful with good kitchen, bathroom, comfortable bed and living/dining area. This ground floor space is perfect for one or two people. I travelled on my own and felt very safe in the neighbourhood and with window/door shutters it was secure and dark for good sleeping. Lovely throught with nice touches. Very much recommended.